Embracing the New Year, I’ve created an inspirational post, cherry-picking my favorite quotes penned by designer Elsa Schiaparelli in her 1954 autobiography “A Shocking Life.” Whenever I need a little pick-me-up, I reach for this book. True grit, spit and wit reign here. Soon “Brack” is back on track. Here’s the zip: On January 1, 1935, “Schiap” moved her salon from the fourth floor at 4 rue de la Paix to 21 Place Vendôme (located next to Napoleon’s column and the Hôtel Ritz), and opened one of the first prêt-à-porter boutiques in Paris. History in the shaking, one could easily swing by the shop and score “ready to be taken away immediately” dresses, sweaters, bathing suits, shorts, lingerie, lounge wear, dressing gowns, hats, jewelry, stockings, and pocket books. Where’s time travel when you need it, I pray? From the get-go, fashionistas from all over the world made a bee-line to see it with their own peeps. Step to it: Following French historic preservation guidelines, Frank also revamped Schiap’s other rooms at 21 Place Vendôme (there were 98 in all!). It was the 1930s, so stark was making its mark. The walls and molding were painted white, while flattering lighting was made possible by concealing lights in abstract plaster columns. Voilà! You look marvelous. Tip: Jean-Michel Frank also worked his magic for Coco Chanel, Lucien Lelong and Nina Ricci, along with the Institut Guerlain at 68 Champs-Elysées, where his trompe-l’oeil panels (in collaboration with illustrator Christian “Bébé” Bérard) still shine brightly today. While hotfooting to the Arc de Triomphe, do take a peak. On the second floor is where Schiaparelli (donning a white lab coat) coolly improvised with prints, color, and texture, overlaying fabrics, and adorning them with opulent handcrafted motifs, zippers, beads, and buttons shaped like insects, animals, chains, and lollipops—never missing one refined beat. Elsa’s eclectic repertoire was free-wheeling and whimsical but always elegant, too. 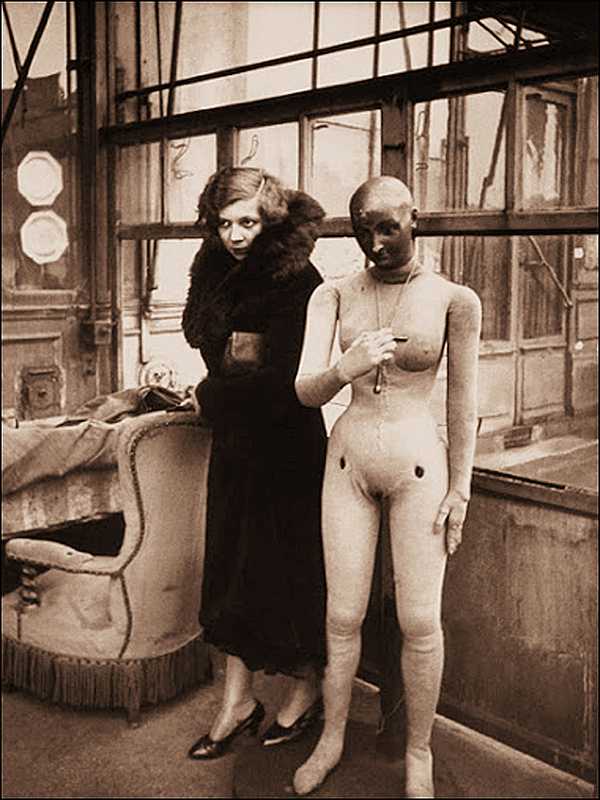 This Lady Dada (and fellow flea market huntress) also played hard with artists like Dali, Jean Cocteau, and Man Ray, along with Picasso, Méret Oppenheim, and the aforementioned “Bébé” Bérard. Reading much like a Hollywood A-list, her client base beamed with the likes of Marlene Dietrich, Greta Garbo, Lauren Bacall, Katharine Hepburn, and Wallis Simpson–just to name a few! Ahead of the curve, our publicity maven often launched her thematic collections with witty vitrines and performances of Napoleonic proportions, complete with elephants and tightrope walkers out on the street in front of her salon! Word quickly spread. Her campaigns had real legs, see. Even Mae West came to Paris. Well, almost. “She was stretched out on the operating-table of my work-room, and measured and probed with care and curiosity,” Schiap quipped. “She had sent me all the most intimate details of her famous figure and, for greater accuracy, a plaster statue of herself quite naked in the pose of Venus de Milo. Here’s the scoop: In 1937, Schiap was commissioned to create Mae West’s wardrobe for the movie “Every Day’s a Holiday.” In addition to mailing the plaster figure, the sassy full-figured actress also promised to visit the salon. 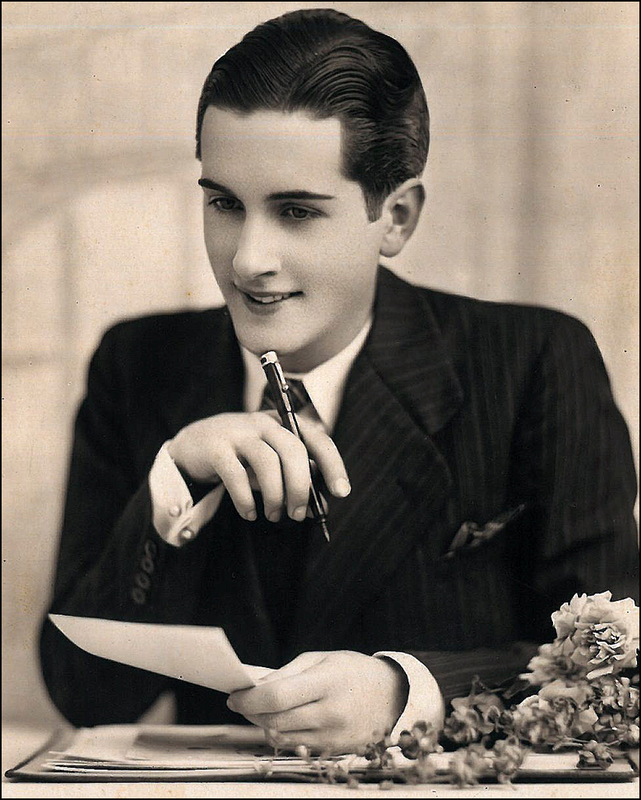 The entire shop was ecstatic, including Schiap, who planned an “extraordinary” evening at Chez Maxim. Sadly, because of her busy schedule, Mae West didn’t come up and see them sometime. “I’d like to see Paris before I die. Philadelphia will do.” she growled. After shipping the wardrobe to Hollywood, “All that remained was the plaster-cast statue,” Elsa said. However, it was this very statue and its bombshell hourglass silhouette that inspired Schiap’s signature perfume bottle for her scent, “Shocking.” Living well is the best revenge, eh? I’ll say. Come hither, dream team. Surrealist painter (and cat lady!) Léonor Fini created the iconic “Shocking” bottle, while artist Marcel Vertès illustrated the titillating and cheeky advertising campaign. Oh, la la. Recently Diego Della Valle (of Tods) bought the “Schiaparelli” name and now plans to revive the Place Vendôme salon. In 2012, designer Vincent Darré dressed Schiap’s former digs with sofas in her signature “Shocking Pink” and rugs by Fernand Léger, along with art by Man Ray, Dali, Cocteau and Picasso. Heck, the gang’s all here! Well, not quite. They’re still on the hunt for a designer. I’ll keep you in the loop. As Schiap would say, “If the wind catches your hat and tantalizingly blows it farther and farther away, you must run quicker than the wind if you want to retrieve it!” Happy New Year! Bonne Année! Another thoroughly enjoyable and entertaining article. Thank you, Theadora. You bring Paris to life for me. Wishing you abundant blessings for 2013. MERCI. Happy New Year, Lizzie!! Keep on taking photographs! T.
Happiness in the New Year to you too! Happy, Happy New Year to you!! Big hugs!! T.
A fantastic post as always. What a great way to start the new year! 🙂 All the best to you in 2013! Ah, thank you, Karen!! Here’s to another productive year. Sending positive writing vibes your way!! T.
Your fab post had me singing … “In olden days a glimpse of stocking was looked on as something shocking. now everything goes… If bare limbs you like, if Mae West you like, or me undressed you like anything goes.” And dancing in my red soled Louboutin’s. One simply wants to be shocking Theadora. V.
And here’s to another productive year of photography. Yes, your works are inspiring. Happy 2013!! T.
Oh, la la! C’est magnifique, Mlle B.!!! Quelle histoire!!! Et, pour vous, Bonne Annee aussi! Not certain about that, but I’ll check it out! I bought my ‘Schiaps’ at the Boston Store in Milwaukee, which was quite a la-la chi-chi place back then…these days, not so much! I feel we import too much from China, and the goods are not really durable…and that goes for just about everything! Very cool post. Wishing you peace, health and happiness in 2013. Happy New Year and Happy Trekking to you and Flat Ruthie!! T.
I have to read this tomorrow, but you have to catch my post for tomorrow. You’ll love it and your name and blog link appear as well. Come take a trip to Paris in the suburbs of Chicago! Amusing post – Paris is indeed special! Happy 2013 to you too and bonne continuation! I *would* say that that piece in Schiaparelli was “shockingly good” but in fact I’ve come to expect nothing less of any of your posts. They’re *all* shockers. Bravo! It’s always beautiful and enjoyable to take a trip with you. I wish I were really there. But, as promised, if you’d like to make a quick stop with me for some chocolate (to eat or drink) and see a bit of Paris in the Chicago area, please stop by and let me know what you think. I think you’ll be impressed: http://sustainabilitea.wordpress.com/2013/01/03/paris-in-naperville/. Oh, my. Again, thanks for sharing. Naperville + Paris = BLISS. What a beautiful shop. Dangerous to the hips, I say. I haven’t been able to stop thinking about their “gussied up” hot chocolate and cheesecake. For gosh sakes, what did they add to hot chocolate? I loved their color scheme, too. The place flaunts a “Ladurée” vibe. The chandelier fixtures also caught my eye. I’d love to add one to my powder room. (An idea I clipped from Virginia of belocchio!) T.
Wow! I especially love the Place Vendôme reflection! Thanks again for showing us another view of taste and elegance…meaning your blog! May 2013 be at least half as classy and fun. Thank you for the swell words, Paul!! What a way to kick-off the New Year. Grinning, now. Thanks for that. Bonne Année! T.
Thank you! Sir. Sending positive writing vibes and literary muses your way. Happy New Year!! T.
Fantastic, sumptuous post, T! What a fine way to start the year! Imagine sending a plaster cast of yourself as a stand-in. I wonder if work would go for it. Have a great 2013! Quel joli post! J’adore Schiap! Il faut que je lise sa biographie. Et bonne année à vouz! YES. I’m also a “Schiap” fan. 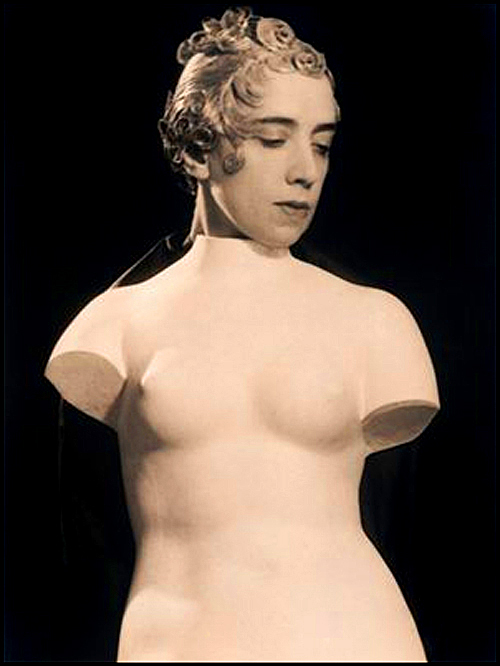 And yes, I highly recommend “Shocking Life: The Autobiography of Elsa Schiaparelli” (1954), along with “Shocking! The Art and Fashion of Elsa Schiaparelli by Dilys E. Blum and the Philadelphia Museum of Art (2004). Back in 2007, the Victoria and Albert Museum reprinted Schiap’s autobiography in paperback form. I scored in a New York Barnes and Noble a few years ago. I’d start with eBay. Happy New Year!! T.
MERCI. Happy New Year !! T.
Fabulous post ! Have a Shockingly great 2013 ! Boomerang! Ditto. Have a Shockingly great 2013 !! T.
Another wonderful story and history lesson from your always enjoyable persepctive on Paris….Have a great year and look forward to your musing! Bonne Année Theodara! A great post as always. Never heard of Schiaparelli before, love the illos. Cheers. What a post – I love it, thank you! Love the Mae West story. I so appreciate the depth you give to the Parisian landscape. What a rich history! Ah, thanks, Tammy! I also love the Mae West story. Schiaparelli was still disappointed about the 1936 “collaboration” when she penned her autobiography in 1954! T.
A gorgeous post. Nifty writing. I feel drenched in creativity. More Divas than a May Day parade. She was every inch the lady and then a few feet more the businesswoman!